Dealing with depression, Illness or fears? Do you feel trapped and the weight of guilt and heartache holding you down? Whether it is addictions, emotional trauma, wounds in the soul, or demonic activity you can experience freedom. Join us for a Monday night deliverance meeting and learn how deliverance ministry can allow you to overcome the barriers that hold you down. Deliverance Ministries, Inc. offers FREE one-on-one ministry with trained ministers on Monday nights. Donations are accepted. No childcare is available on site. AND they have an APPOINTMENT to receive ministry). Can’t Make a Deliverance Meeting In Person? We offer home based, step by step guided ministry through our website. 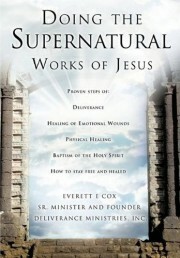 Training and Doing the Supernatural Works of Jesus. We train ministers every Monday night from 5:30 pm to 11:30 pm with instruction on basic ministry, advanced ministry, and a practicum, by sitting in with another minister as they minister deliverance. It takes six months to a year to be fully trained in the basics, during which time you will be ministering one-on-one with individuals that come for ministry.